These beautifully finished Klean Kanteen Reflect bottles are 100% BPA and plastic free! Studies have linked BPA, used in many plastics, to multiple health issues including breast and prostate cancer, obesity, hyperactivity, and miscarriages, just to name a few. The stainless steel bottle and bamboo lid make this one of the healthiest and durable water bottles on the market today. Not only is the Brushed Finished bottle and Bamboo lid great looking, but it is also dishwasher safe, making cleaning this water bottle a breeze. 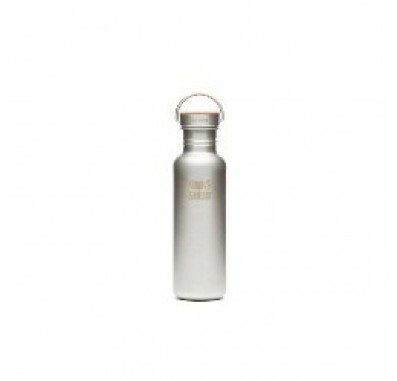 This is one water bottle that will last for years without compromising the integrity of the water inside of it.